WATER SHINE Lipstick has a delicate creamy consistency, it provides an intense covering and a feeling of lightness. 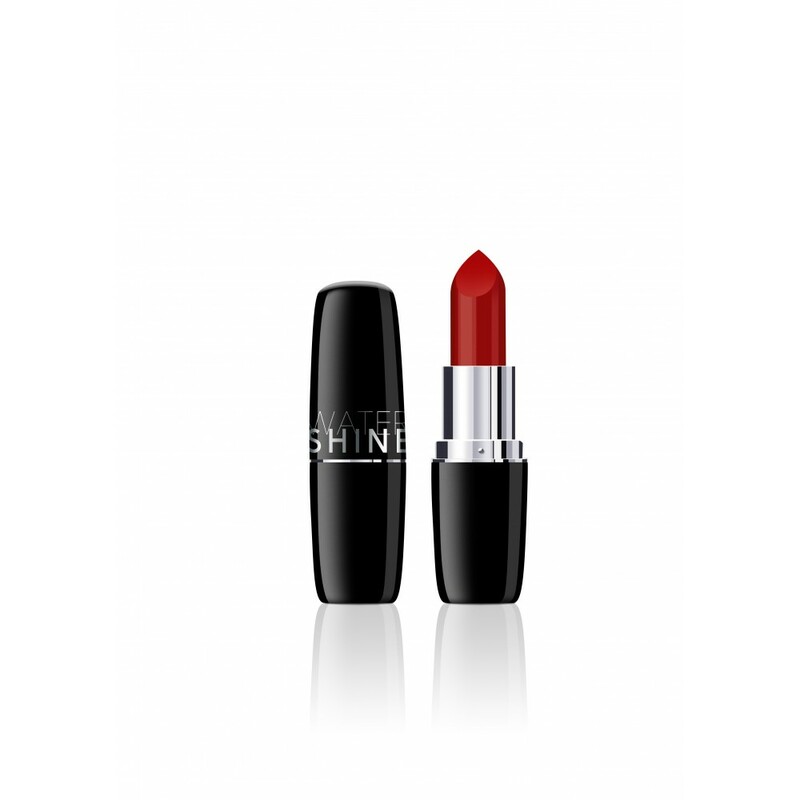 Just one application makes lips look velvety, they instantly recover their full shape and become extremely soft. 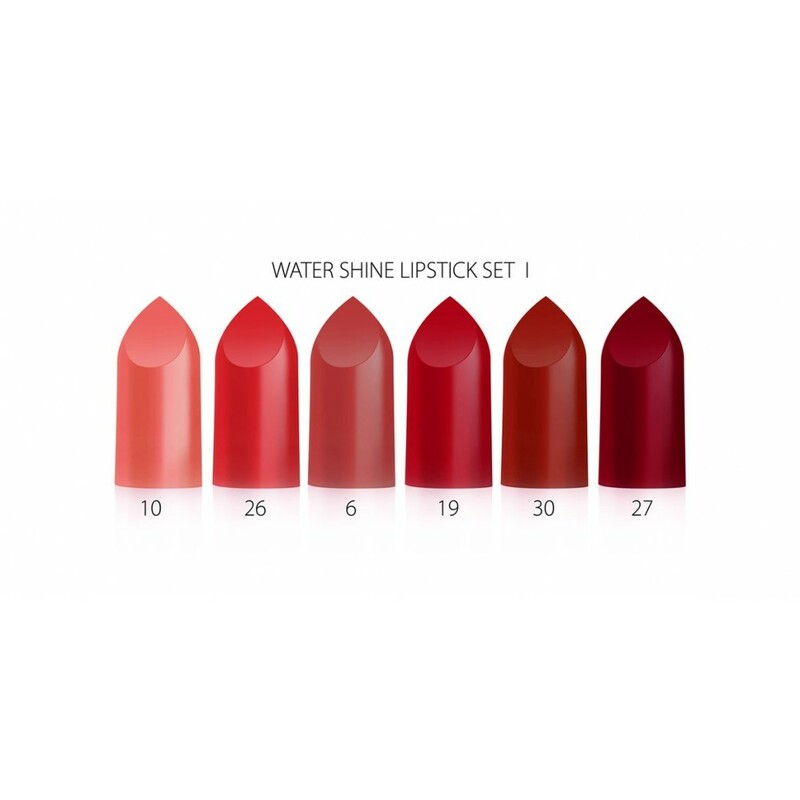 The light and ultra-delicate formula of Water Shine lipstick moisturizes and smoothes out the lips, and thanks to this unique effect with saturated pigments, a deep, expressive colour does not rub and looks spectacular for many hours. 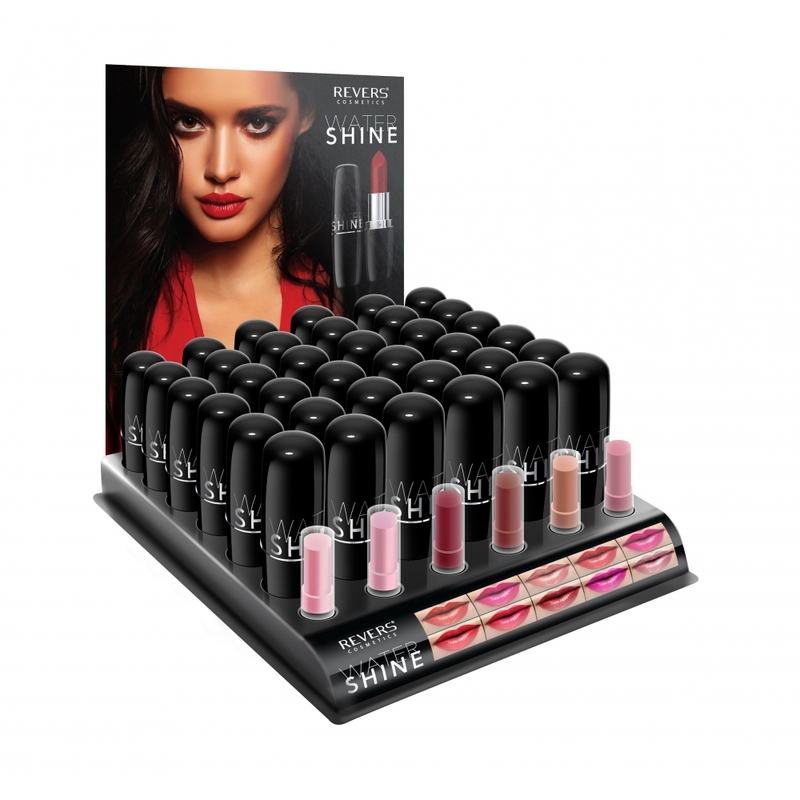 Long lasting effect of intense and shiny colour.